LSUA is excited to welcome ghosts, goblins, astronauts, and princesses of all ages to campus for Trick-or-Treat Street. 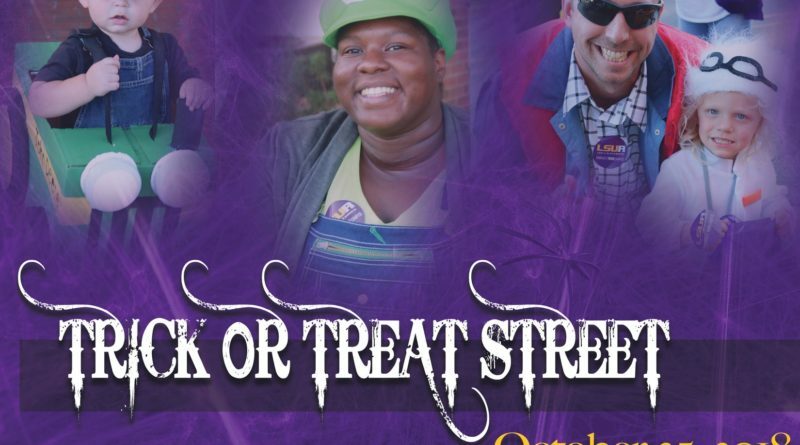 The annual Halloween event is set for Thursday, October 25 from 5:00-7:00pm on the streets of LSUA. Families and children of all ages are invited to wear their best costume to haunt the campus and visit themed booths manned by faculty, staff, and students to trick-or-treat for candy and other goodies. Tickets are five dollars per person and can be purchased at the entrance to campus along Middleton Drive or in advance from LSUA Auxiliary Services located on the second floor of the Student Union. For more information, please call 318-427-4403 or email hmalone@lsua.edu.